Townsend Bourne is a partner in the Government Contracts, Investigations & International Trade Practice Group in the firm's Washington, D.C. office. Townsend represents clients of all sizes on matters relating to the myriad of issues affecting government contractors. 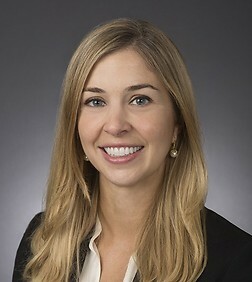 Her experience includes complex litigation in connection with the Contract Disputes Act and the False Claims Act, bid protest actions both challenging and defending agency decisions on contract awards before the Government Accountability Office and Court of Federal Claims, claims litigation before the Armed Services Board of Contract Appeals and the Civilian Board of Contract Appeals, investigating and preparing contractor claims, and conducting internal investigations. She also advises clients on compliance with government regulations relating to cybersecurity, data rights, the GSA Schedule program, subcontracts, procurement integrity, and mandatory disclosure. In addition to her practice, Townsend writes frequently on legal and regulatory developments affecting the Government Contracts industry.